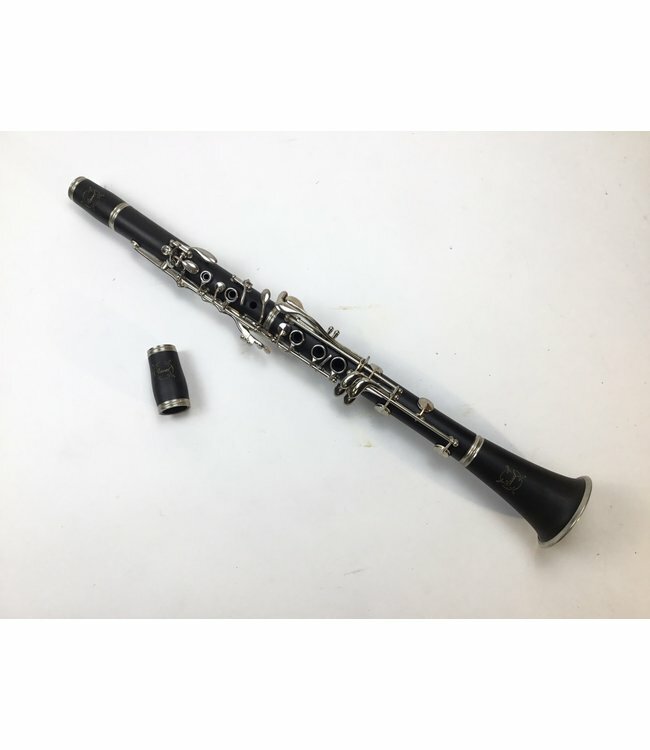 Ravel hard rubber clarinet recently repadded. Composite body with nickel keys. Comes with 2 barrels and case.